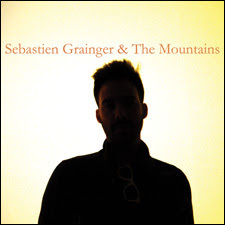 Sebastien Grainger's debut full length with & The Mountains throbs and parties just the right amount to set a serious buzz in motion... and it surely will as more and more 'taste makers' get a jolt of this sound. Due October 21st on Saddle Creek (US), Outside Music in Canada, and JVC in Japan, the former Death From Above 1979 member (singer/drummer) has served up something as tasty as the burgers and coffee at the Swan restaurant in Toronto. The album's dozen tracks have been stewing for some time, having been liberated from Grainger's mind through his mouth and fingers, they found new life and energy on stage, a life and energy which has been captured in studio for all to hear. This album so overpowers with it's energy that it could surely knock you down if not for the innumerable hooks holding your ravaged body up.